This post contains affiliate links. If you make a purchase using one of these links I will receive a small commission at no extra cost to you. Thank you for supporting this blog! think that the real issue is that we have too much stuff. becomes overwhelming to see the amount of *stuff* that needs a home. We are actively teaching our children how to take care of their belongings, but when a little one is overwhelmed, it does not get done. it on life and busyness. needed the space to be intentional about my time while also using my word of the year – action – to get my home back to normal. extreme with three little ones underfoot. time” method that I have grown to love from Tsh Oxenreider’s book Organized Simplicity. I *plan* to use it! ), to go through my home. of it due to one of the many emergencies that pop up during the day. of the main living areas first. going to make the rest of the house a little easier to tackle. we end up storing a lot of stuff in our room. space, and make it a relaxing atmosphere. time I get to it, it may just be spring! as we go throughout the month. How is your home organization for 2016 going? Have you made a lot of progress in the month of January, or are you just starting, like me? I agree, attacking clutter is SO important! It even adds a lot of stress and anxiety to my daily life when I see a bunch of clutter in my living spaces so I do my best to stay on top of it! We move city and house every two years and most of the time get rid of a lot of stuff before the move. even though we move in with minimal belonging, we always manage to pile up quickly. especially toys and books and bits and bobs. I really want to do a house purge too. Thanks for the inspiration! I'm with you! Clutter stresses me out, and I'm unable to concentrate on other tasks until things are cleared away. My husband never puts things away. He loves to leave stuff sitting out! 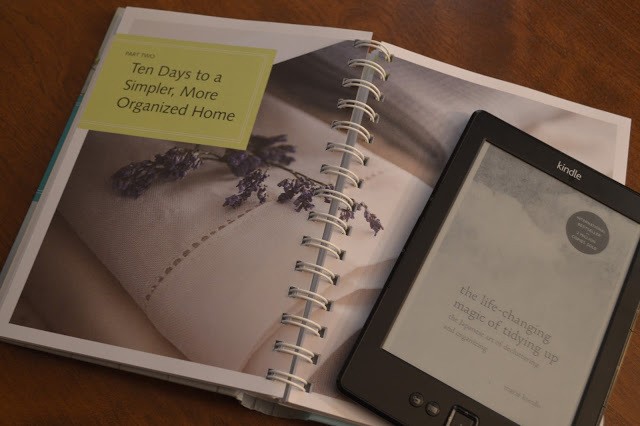 I just started reading Clutter Control: easy Feng Shui Tips for Getting Organized by Skye Alexander. It keeps me motivated in re-organizing some areas of our house. It's kids toys and homeschooling supplies that usually get me!! Getting my home re-organized is my big gal for 2016! With a husband, six kids, two large dogs, and a cat – it seems like there is stuff everywhere! I love the the KonMari method of perking – it is helping me. Good luck to you! I've heard about the KonMari method but it sounds overwhelming. 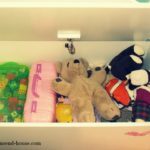 Clutter has been a stuggle, but it has gotten better for us once we taught our son how to put his toys away after he's done playing with them. 29 bags sounds like a lot btw!! Best of luck on your decluttering! Thank you for this post. It always amazes me how clutter just pops out of nowhere. I swear I don't know where it comes from! I struggle with clutter too. I need to get better at just throwing it away. I don't know why I want to keep all the things! I try to declutter weekly, if not daily. It really does make a difference in my every day life. I hate clutter, but it seems to be everywhere in my house. My husband thinks I'm just to pedantic about it, and maybe it's an ocd, but I can't stand things out of place. Thanks for the tips. 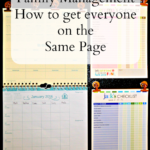 Good organizing is one of a good way to manage the household, but again everybody has to involve. I use to be a person who always wants everything placed where it supposed to be, and neatly..but I learned to let loose myself a bit..a little messy here and there it's still okay..but not complete mess..then I start to panic.. lol. Great tips! 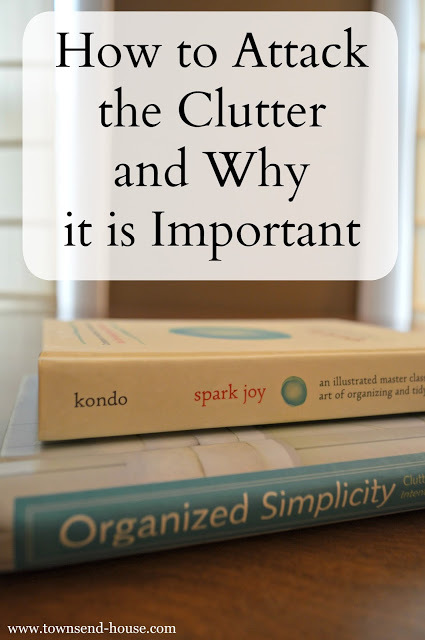 We always have clutter and I'm trying to stay on top of it all! January felt good to purge a bit, tackling out closet again soon! Clutter seriously makes me uncomfortable. I'm better at not letting me stress me out because when it's not my home there's nothing I can do about it. 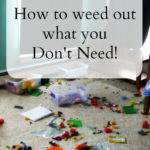 A military life and moving taught me how not to collect what would be clutter. I agree it can be so overwhelming! My biggest clutter problem is in my office, but it is all stuff I need, I just need to find better homes for it! I live with people who have lived with clutter so long they no longer see it, and I can't stand it.. the clutter around the house is just too much chaos for me. It took me a year to get rid of a laundry basket of socks in the living room. Its ridiculous. We're moving this summer and I'm not taking half this junk with us. I definitely need to do a purge! I'm saving my organization goals for later in the year. I will have to read these books. Thank you for sharing! 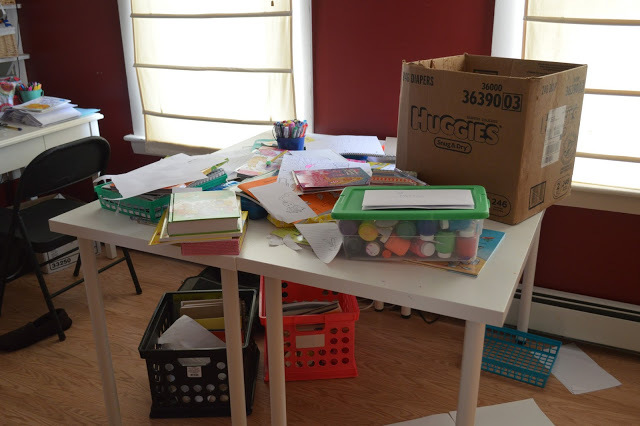 Organizing is hard when you work and have little kids but it seems all the more important in that lifestyle because clutter is almost injurious to a healthy lifestyle. I always feel if I want to de clutter my mind, I need to de clutter my surroundings. I've been hearing so much about the KonMari method lately, but it seems a bit more than I can handle. I need to organize, but I do better with baby steps. You are another example of that Moms are real superheroes! It is so important to declutter lord knows I need to especially since I work so much its starting to get a little untidy which I don't like! Oh, canning season, how I wish I had things to can! A few years ago, I got a little crazy with it, and just bought stuff from the grocery store. I think this year, I will have to keep an eye out for some kind of farmer's market or something (that's not so crowded as the one in the city we used to live in was!). January was great for decluttering at my house, but also because I had already started and was more than ready to move on from the holidays. There is still a ton to do, though. We're also wanting to find a way to rearrange the office (we need more space than we have, really, and just need a good clear out so there can be more room for the stuff that needs to be up). That will be an undertaking on it's own, let alone the rest of the house, so I'm thinking the office will be my focus for the month. We'll see how it goes! With two little girls with tons of toys, clutter is also a big issue in my house. These are awesome tips. I live in such a small home that I have to purge quite often. I have gotten now to where before I purchase anything I have to know exactly where it will go or I don't buy it…of course yarn does not count as I can always find room for that LOL! My kiddies are also all grown up and it becomes so much easier to deal with clutter once they get older although I do have a hubby who is a small pack rat and loves to collect things which then turns into clutter. It all ends up in our bedroom and that does drive me a little crazy because as you say it should be a sort of sanctuary. Maybe I can convince him to purge!!! wow – a house purge sounds overwhelming! But, it is good to stay away from the clutter. I always feel better around an organized space. I try to do more closet purges about twice a year, but maybe I'll look into house purges too!